I’ve just returned from a quick weekend trip to New York. It’s been two years since I was last there! Hard to believe so much time has gone by. Normally when I travel to New York I take a long list of new restaurants and bars I’d like to check out. This time, however I went list-less. As I’ve mentioned, the last several weeks at work had been super busy. So I decided that I would spend my time in New York simply wandering and agenda-less, maybe returning to places I’ve enjoyed in the past and, if I felt the need, I could jump online to search for the latest and greatest. The weather wasn’t very cooperative while I was there – a mild nor-easter was coming in – so I awoke Sunday morning to strong winds and pouring rain. I decided I’d wander down to a coffee shop that was about a mile away so that I’d get a little exercise before settling in with a cup of tea and the paper. I spent a good 90 minutes there watching the surrounding neighborhood wake-up, the locals coming in for their coffee and the continuing rain. On my return trip back to my hotel I noticed a bakery across the street. The window was filled with an array of breads and thought I’d pop across and maybe grab a quick photo but as I got closer I realized that it was Boulay Bakery and Market,, a place that would have been on my list had I made one. I eagerly made my way inside to see what I’d find. As you enter there is a small space between the outer and inner doors. That space was filled with the sweet-tart fragrance of apples. 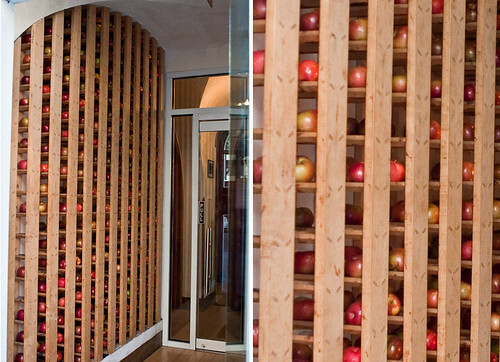 I looked to my left and realized there was an entire wall of apples perfuming the space. I absolutely love that idea! Once inside there is a dining room/seating area to the right but I turned to the left where the bakery and take-out area is located. I really didn’t spend much time looking at all that was offered but did notice a large soup/salad/prepared food bar; chilled cases filled with cheese and meats. It seemed it would be easy to pop-in and pick up everything you needed for a meal at home. I focused on the bakery products, looking for something to take back to the hotel to have as part of my breakfast. There was all manner of tarts and breads and pastries but my eye quickly noticed something rare. Canelé! 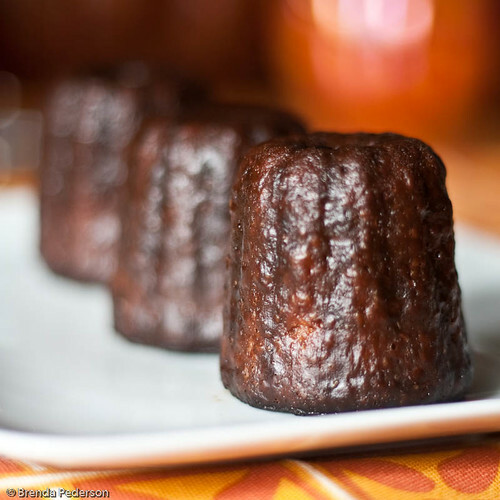 I’ve talked about canelé before. I knew one of those would be going home with me. There were so many great looking options but I was trying to be mindful of the fact that my time in New York was limited and there really is only so much one person can eat. So I restricted myself to one canelé and one fragrant orange muffin. The gorgeous macarons called my name, too, but I manged to ignore them. 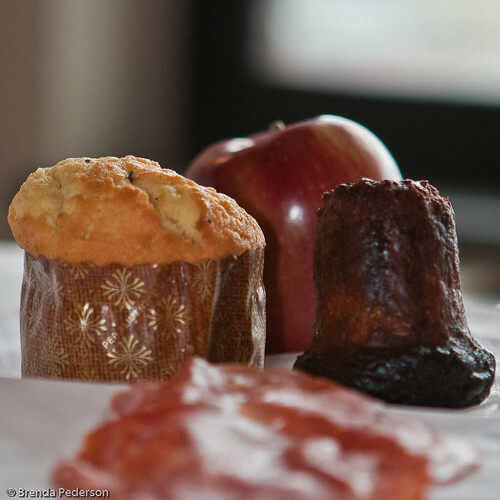 When I returned to the hotel I made a little breakfast picnic in my room with the canelé, some hot soprasotta I’d picked up the day before and an apple from the big bowl of them in the hotel lobby. I decided to save the orange muffin for Monday morning. The canelé was amazing! The outside was the perfect sweet, slightly-burned, crispy caramelized crust and the inside soft and custardy, sweet and rich. So good, in fact, that Monday prior to leaving for the airport I returned to the bakery and purchased some to bring home. 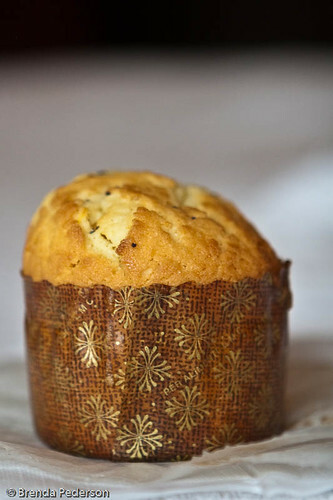 The orange muffin was also very good with just a hint of orange flavoring the vanilla batter. The one bad thing about "discovering" this bakery is that now it will probably go on my list of places to return to the next time I’m in New York. That list is getting way too long – I’m going to need to visit for months at a time to allow time to go back to all my favorite places and yet have time to try out a few new!